Synopsis: Small-town biz wiz Jill Hale has been in love with her childhood best friend Brian McConnell for as long as she can remember. A falling out led to years of estrangement, but when Brian returns to Dare Valley after trying to make it big as a chef in New York City, Jill’s determined to make amends. She’s convinced that starting a restaurant together will be the perfect win-win situation, allowing her and Brian to work together and play together. After a series of missteps sliced and diced Brian’s career in the Big Apple, he came home to regroup and find himself. He’s convinced that reestablishing his connection with Jill, the girl who got away, will put his life back on track. And when she approaches him with her plan for going into business together, he’s certain it’s the one way he can have it all—his dream job and his dream girl. My take: French Roast is book #2 in the Dare Valley series. 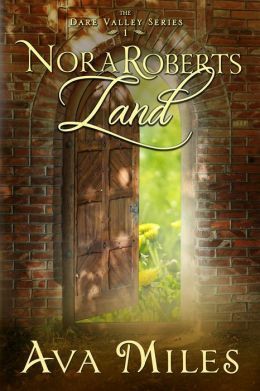 I haven’t read Nora Roberts Land (the first book) yet but never felt lost because Ava Miles did a good job of catching the reader up on key events and relationships from that book. 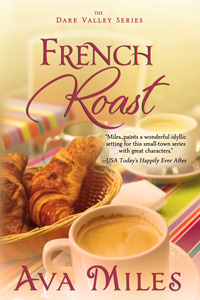 In French Roast BFFs Jill and Brian have a second chance at love and a possibility of working together. Brian is a talented chef who wants to open a restaurant in Dare Valley and Jill has the business sense to make it a success. But if Brian’s ex, a beautiful and sophisticated French chef, has anything to say about it that won’t happen. Jill has another work possibility as well. A mysterious businessman who wants to open a controversial business in the small Colorado town thinks Jill is the only person who can convince the town council to allow it. But why is he so secretive? Brian and Jill are extremely busy but are determined to make their personal relationship work. The trouble is they seem to sabotage themselves at every turn. This frustrated me so much! They’d say one thing and then behave in a questionable way. I really didn’t know how these two would end up. They had good physical chemistry but, honestly, there were a few times I thought they needed couples therapy if their relationship was going to move forward. I enjoyed Miles’ writing. Her engaging story and characters kept me turning the pages. It’s a contemporary romance so readers should expect some love scenes which were, at times, too detailed for my reading tastes. I liked many of the secondary characters who helped move the plot and eventually set up the third book – and I look forward to reading it! Having worked as an apprentice chef in a restaurant popular with celebrities, politicos, and other journalistic luminaries, and as a private chef while in graduate school, Ava had no lack of inspiration as she dealt with the foodie aspects tied to FRENCH ROAST and the restaurant central to her plot. Synopsis (publisher): What happens when five people from three different countries move to the same apartment building in Italy for one year? One thing’s for sure–their lives will never be the same. Meet Carlisle, Nicolette, Josh, Charles, Eva and their landlord Senor Benedetto as they spend a year at 32 September Way. Whether they hope to find something in Verona or wish to leave something behind, the City of Love manages to change each one of them in ways they never expected. My take: I read this novel with a group of online friends. It’s a fast read and I enjoyed it. The author developed the characters just enough to make them interesting and somewhat relatable. The setting was great. 32 September Way is a charming 4-apartment house in Verona, Italy. Mary Ylisela’s detailed descriptions of the house and surrounding neighborhood really brought the novel to life. I found it easy to visualize it all. As I read, I wondered if I could ever live in another country for a year without knowing anyone (no family, no friends) before I arrived. My favorite character did just that which made her and the book that much more interesting. I liked how the author brought each one of the characters through their challenges and ended on a hopeful note. After I finished reading the book I found out there’s a sequel. I will definitely read it! Published: November 2012 – CreateSpace; Amazon Digital Services, Inc.
Synopsis: Would you leave everything behind to know who you are? Sara Beth Riley never dreamt she’d walk straight out of her life. Actually she’d never dreamt a lot of things that had happened this year … From being kidnapped by her own best friend, to throwing her wedding rings into the Hudson River, to calling an old love in France, to getting inked with said best friend, painting the passionate constellation of these choices into permanence. But mostly, she could never have dreamt what started it all. How could it be that her mother’s unexpected death, and the grief which lingered painfully long, turned her into the woman she was finally meant to become? Sara Beth’s escape begins a summer of change – of herself, of marriage, of the lives of those around her. In a story that moves from Manhattan to the sea to a quaint New England town, Whole Latte Life looks at friends we never forget, at decisions we linger with, at our attempts to live the lives we love. My take: When Sara Beth’s mother died she lost her biggest cheerleader. They were so close and with her unexpected passing Sara Beth is devastated. Her children and husband seem to take her for granted and she feels life just keeps going in spite of the immense grief she’s experiencing. She needs time to regroup and figure things out – things her friend Rachel thought they could do on their girls’ birthday weekend in New York. However, Sara Beth decides to go it alone instead of meeting her friend for a prearranged lunch. The note she has a waiter deliver to Rachel says not to worry, she’ll meet her at the hotel in two days. Rachel is frantic that something terrible will happen to Sara Beth. She stops a mounted police officer, Michael, who ends up helping Rachel try to track her friend down. Michael. What a great character! Loved him, flaws and all. Events transpire, time passes, friends come together, family members make an effort to understand. It all came together for a very satisfying novel – especially for this female reader of a certain age. I loved the grown up women who seemed like people in my life. These are women who are willing to take a chance instead of sit quietly on the sidelines of life. Sometimes chances are taken after great encouragement and support from friends and family – that rang true for me. With so many discussion possibilities, Whole Latte Life would be a great book club choice for my friends – women past the age of 40. 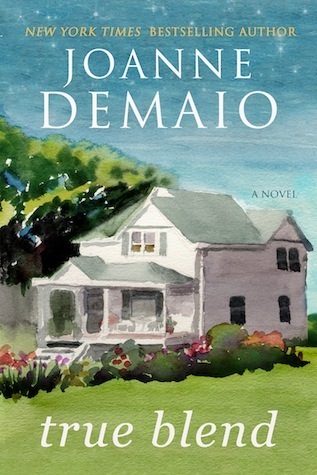 I enjoyed it very much and look forward to Joanne DeMaio’s next novel. Recommended. Disclosure: I purchased my copy and was subsequently invited to participate in a blog tour. I was not compensated for my review. 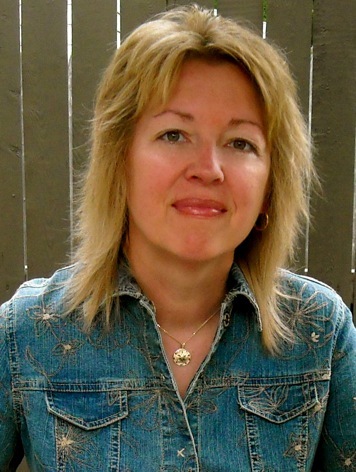 Joanne DeMaio is an award-winning author of contemporary fiction. 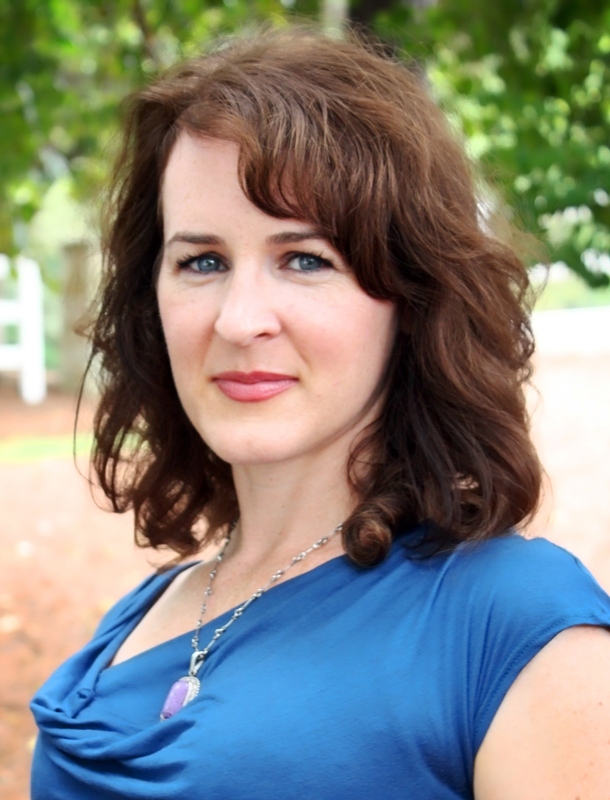 Her bestselling novel Whole Latte Life won First Place in the 2012 Discovery Awards and was selected by Kirkus Reviews as a Critics’ Pick. It has been featured in USA Today, The Huffington Post, Barnes & Noble’s blog and other outlets. In addition, her music essays have appeared in literary journals, celebrating her passion for song. Joanne lives with her family in Connecticut, where the coffee and stories are always brewing. 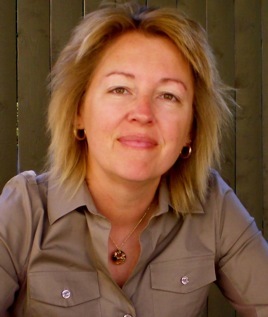 For more information about Joanne DeMaio and her books visit her website.